I know I’ve talked about this,,,,but maybe someone hasn’t seen it yet,,,,besides this was my fun for the day,,,,N20 smoke during cold start up in the morning,,,,it’s a blue smoke,,,smells like burnt oil,,,,it will smoke for about 20 to 30 seconds and then go away,,,,the picture is the engine oil feed line to the turbo that causes the problem. Here you can see the turbo,,,,and just left of the turbo is the engine oil feed line,,,,the oil line goes from the engine block to the turbo housing,,,,you have to remove the whole turbo to replace that oil feed line. Here is the difference between the old and new oil feed line,,,,the new oil feed line has a built in check valve,,,,which stops oil from leaking into the turbo while the engine is off,,,,what would happen is oil would leak into the turbo over night and cause the blue smoke coming out of the exhaust during cold start morning,,,,that check valve in the oil line stops that. This entry was posted in Uncategorized and tagged N20, oil feed line, update. Bookmark the permalink. How much would a replacement like this cost out of warranty? I’m having quite a lot of blue smoke on startup with my 328. Thanks! Would something like this be covered by the 8yr/80k mile federal warranty? Thanks for all your help, I’d prefer not to replace the turbo as I know I’d probably be very costly. If its too expensive I might just let my car burn oil for a while. 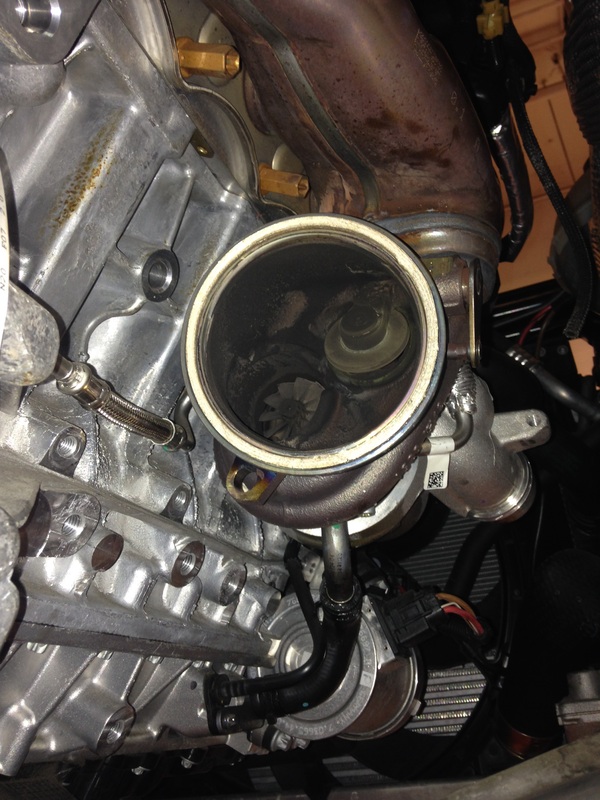 Hi , would you know if the turbo on the e89 can be removed from inside the engine bay. I know on the 3 and 4 series 328 and 428 the steering rack is moved forward and done from below. There looks around 10 inches of room on the e89 to maneuver it from top. Also can the oil supply pipe be changed from the side on the e89? There seems plenty of room. My car is out of warranty, am in the UK so no extended warranty and it is blowing smoke on startup. Ive ordered the updated supply pipe so we shall see. A used turbo is another option if mine is gone. Can the seal be changed inside the leaking stage? Why does the BMW version of the reliable Mitsubishi turbo suffer from this? My car only has 30k miles. Many thanks. Many thanks for replying I only ordered the part 11428678840 the updated tube from 2016 with the check valve hopefully this will work for me on my z4 . I only looked at it last night and this morning I started it it ran for 1 minute and shut off struggled to restart it it idles at 400 rpm shaking badly and won’t rev past 1500. I only looked at it yesterday no work. Bad luck or what. I had to take my mothers car to work . No fault came up on the dash. I wonder is it fuel pump or something hopefully not the vanos unit? I feel like crying..
Also I noted the turbo can be split by undoing the clamp to the manifold and water lines/oil lines and air intake away from the car. Do a search for dinan turbo upgrade n20 pdf and it gives a how to. I’m wondering if the oil line can be removed if I can get the front section of the turbo out leaving the manifold in place. Thanks. Hiya , I removed and checked all 4 plugs after trying to restart it which it tries to kick and sometimes even runs for 20 seconds. The plug ends are all blackx4 but all are wet which evaporates so I guess must be fuelm and you can smell fuel. Do you think one injector has failed dumping fuel in, if so why don’t the other 3 cylinders run the car and which one is it likely to be ? Can I disconnect injectors one cylinder at a time? A fault code did come up and I scanned it and it was loss of power Im not sure of the fault number. Many thanks again. Ive tried unplugging the injectors one at a time still leaving all coilpacks and the turbo vacuum connected and it still does not start. I seem to have a diagnostics version V57 that doesn’t have the 28i version but perhaps dates previous to this with an option of e89 23i 30i and 35i. If I had the latest diagnostics version would this likely tell me what is wrong as I will pay a mobile diagnostics person to test it. I have a 2002 audi tt which failed to start once and it was the and the crank position sensor and a code came up from crank sensor and a 2008 passat tdiThe fuel pump in the tank gave no code and I replaced it on a hunch as a common fault and it was fine. What would the chances of two injectors failing at one time? Must be long odds. It’s very possible ,,,,I have seen 3 injector fail at the same time,,,,how many of the spark plugs were fuel soaked. Ok,,,,the line your taking about,,,,I’m having a hard time figuring out what line your talking about,,,,I think the line you are talking about ones to the vacuum pump which is at the rear of the valve cover,,,try and trace where it goes,,,,,ok if that line goes to the vacuum pump,,,,yes you can run the engine with that line off,,,,,check that line and see if there is oil inside,,,,also check the vacuum line to the waste gate,,,,,,see if there is oil inside any vacuum line,,,,,if there is oil then the vacuum pump is bad and is pumping oil inside the valve cover and vacuum lines.,,,,that could be your whole problem.,,,,,,I think I have something in my blog about this. I thought of something,,,,did the plastic engine cover,,,which might have 1 or 2 vacuum ports on it,,,,does that have oil in it. Throttle body- and this is the interesting part- flap not operating on pressing accelerator seems fully closed no air getting in, oil present inside, it seems that the defective oil line likley sprayed oil into the throttle body and the car acted funny and then died when it was idling with smoke pouring from the exhaust if I have my plumbing correct of the turbo oil seal failure and the oil is ending up in the throttle body. Will test tomorrow, interesting. Yes this is very interesting ,,,,,was the engine running before you did turbo oil line,,,,,and after replacing it now it won’t start? I never touched it, I bought the oil line ready to install, and before I could touch the car, I let it idle smoke was coming out of the exhaust on startup then it died, I restarted it ran roughly wouldn’t rev above 1500 and then die, restarted would kick run for aa few seconds, now wont run at all. So in summary nothing was done to it not even a cover lifted. Just bad luck I suppose, Im going to compression test it this morning and wedge the throttle flap open to see if it starts on starting fluid. Ok,,,,I understand now,,,,you said you smell fuel and spark plugs were black,,,,you could have a couple fuel injector that are bad,,,,that would cause it to run bad and stall while idling ,,,,we have had some cars towed in because they can run with bad fuel injectors,,,,if you find spark plugs fuel soaked,,,,then those injectors are bad,,,,and could be your problem,,,,the spark plugs should not be fuel soaked. Hiya, checked compression and that is fine same in all cylinders. The spark plugs are indeed fouling black but in all the cylinders I think, I took one out got no spark only smoke on the plug tip when the engine cranked then cleaned it and you could see the spark. Could all 4 injectors be bad or Is it not more likely to be the turbo oil in all the cylinders, after all it quit while idling with the smoke coming out of exhaust when left overnight?Also isn’t petrol usually not black? Very strange. Hi ,that’s a good question whether there is oil in engine cover,Il just check, Im not sure. Ok just checked and although it was left overnight no there is not, I took off the pipe from the wastegate to manifold and there is no oil in this either. But the pipe from the engines vacuum pump to the engine cover was full of oil with a lot of suction . Would/could that be linked to a non start situation?What does it mean if this is full of oil? I noted in the manual that if a certain symbol appears then car can only be started with the foot brake depressed I am going to try that as I nearly had it going last weekend.. Failing that it will be towed to my garage likely with more questions than answers. Oh one other question how do you reset the electronics , I have INPA Dis v57 and it doesn’t have the 28i but the previous model the e89 23i, can the electronics be reset with this? On the dis,,,,,no you can’t reset the software is not up to date for a N20 engine,,,,,if there is oil in the vacuum pump line,,,,then the oil pump is bad. Im still having some trouble with the car. I sent it to my mechanic who says its coming up with a valvetronic fault code. Is there anything in the valvetronic that would cause it not to start? Yes you can replace it,,,,I don’t know what information the BMW tech has,,,,the Bentley book might be good if they cover that repair. The new oil line does not reduce the flow of oil,,,,it just stops the flow when the engine is off,,,,so the turbo doesn’t get all this oil when off and then you get this oil burn off during cold start. That may be true but looking at realoem as far as I remember bmw still fita the standard non pressure valve to new bmws. Obviosly if that is the case the engineers are unhappy long term with this patch that is likly tobsee the turbo out of warranty. My turbo was rebuild at 37000 miles and the reputable guy doing it says it was shot and in a bad way. What the reality is I cannot say as wasnt there and dont have the direct technical knowledge but I know that any manufacturer that mounts the dme behind the oil cooler employs very poor designers. They do have first class styling and interiors as well as brand name so I guess that keeps them moving off the lots. I do agree it is pretty strange that the DME is mounted on top of the intake manifold. Sorry for poor spelling I am on a little android phone! 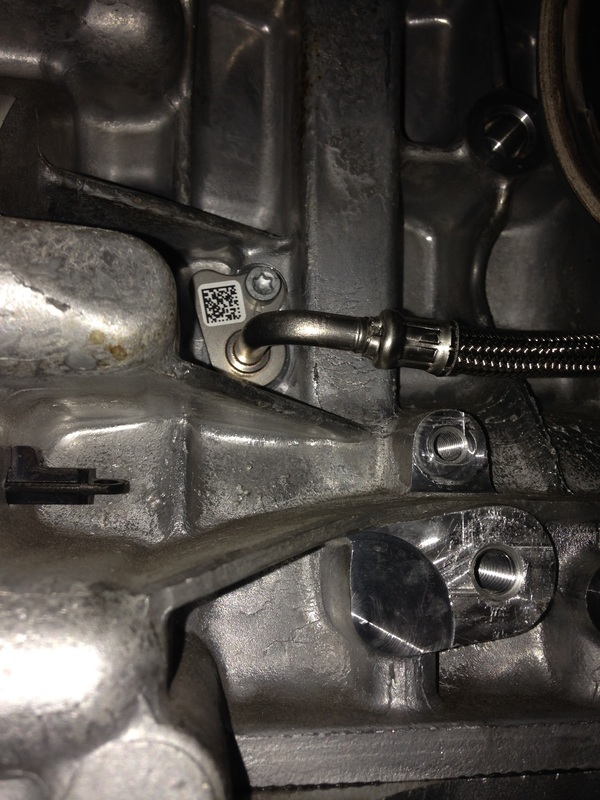 Had the wastegate actuator linkage break on my 320i N20 engine. 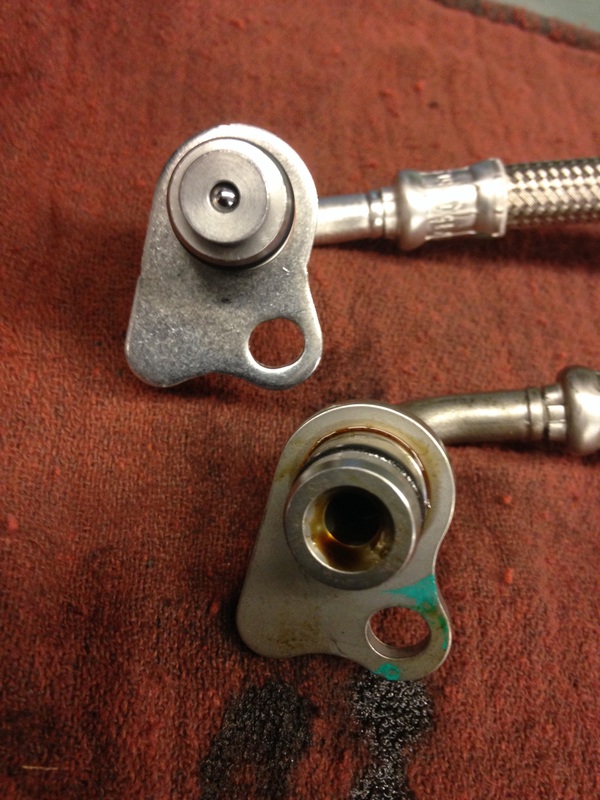 Does the wastegate fail in the open or close position? In your experience what damage can you expect from this kind of failure? Hi there, I’m looking at buying a BMW X1 2013 with an N20 engine. I’ve had the car inspected and he has found that the turbo is leaking oil, and dripping down onto the steering rack. Would you be able to let me know if this is more of a repair than just changing the oil feed line? If the turbo itself is leaking out, does that mean it is likely that the whole turbo needs to be replaced? So I’ve got more information about where the leak is coming from. It looks to be the plastic hose the is connected to the intake of the turbo. I’m not an expert in this but this is the photo (https://imgur.com/a/doEm5SN). I would hugely appreciate it if you could confirm that is the intake end of the turbo!